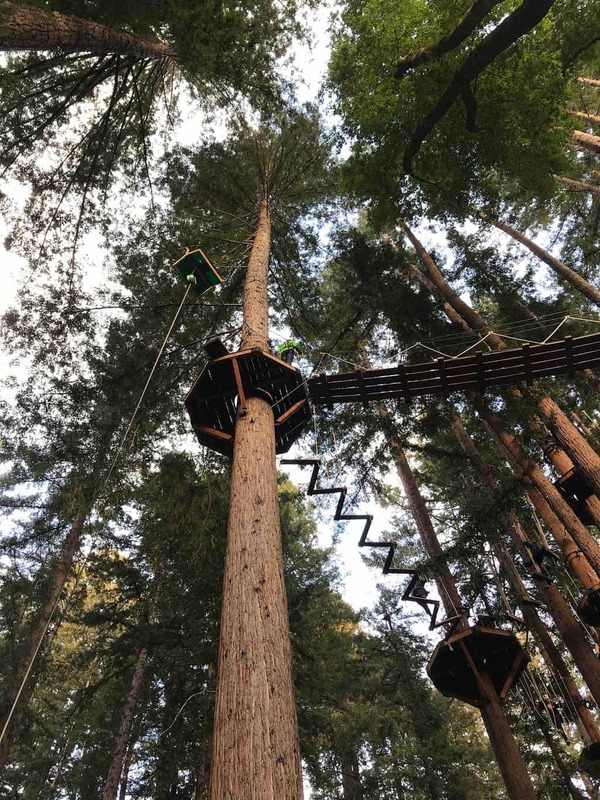 Mount Hermon Redwood Canopy Tour Activities: There are few moments in life when curiosity, excitement, adrenaline and amazement collide. 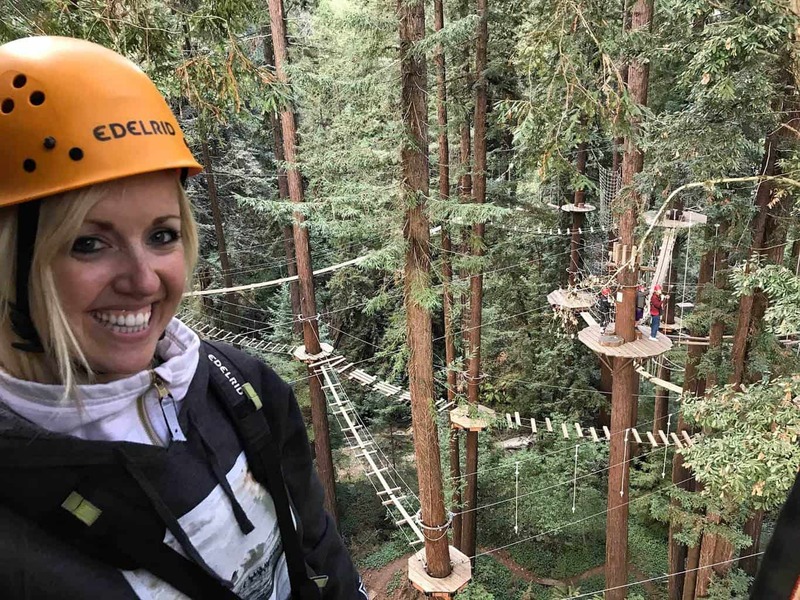 Sometimes these moments are found surfing big waves, mountain biking, sky diving, skiing or climbing through trees! Yes, climbing through trees. 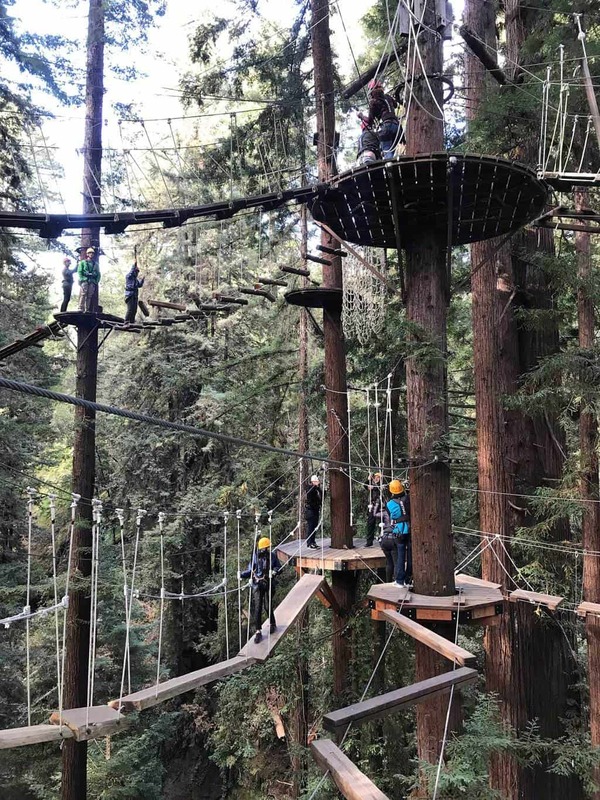 Mount Hermon Redwood Canopy Tours is the ultimate destination for hikers looking to conquer their fear of heights, develop their balance skills and enhance their team work; all while climbing through trees. 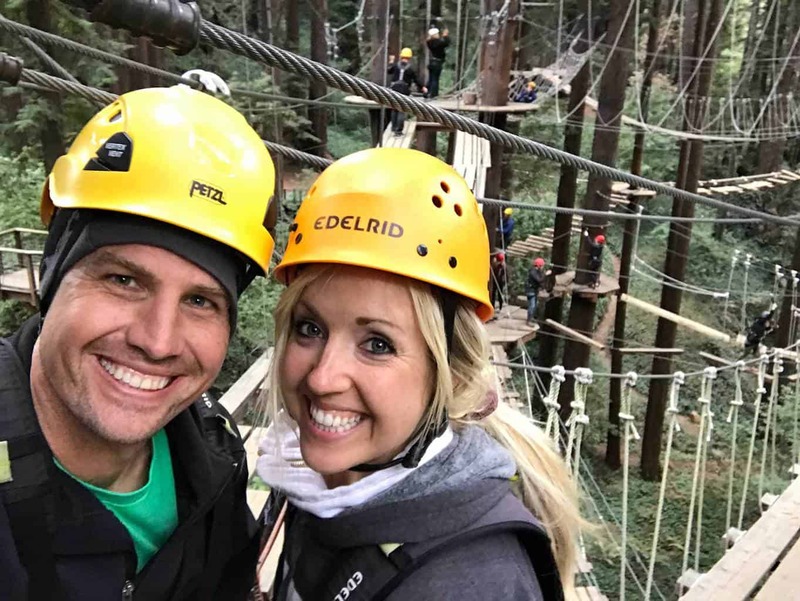 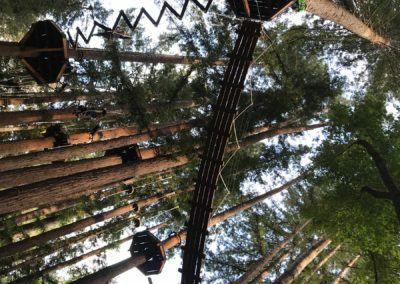 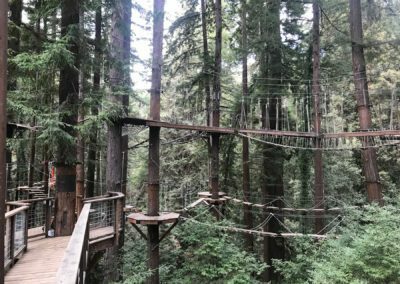 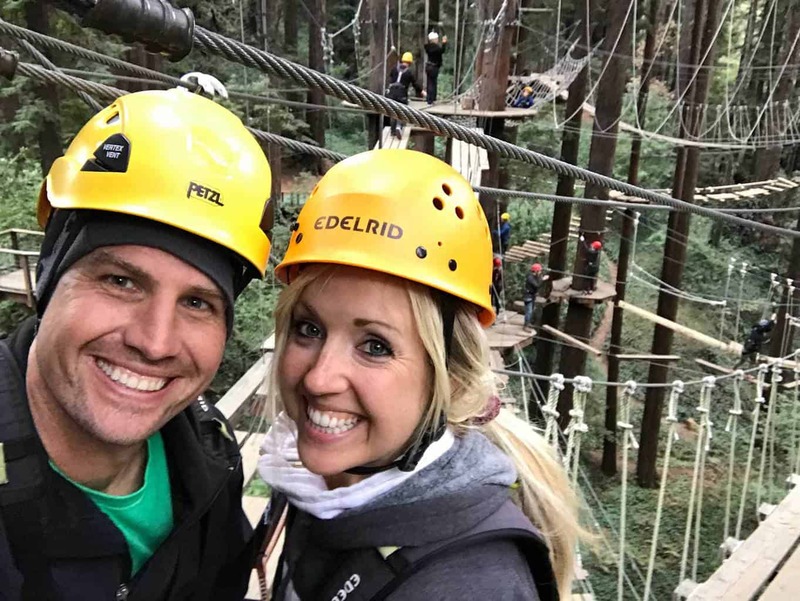 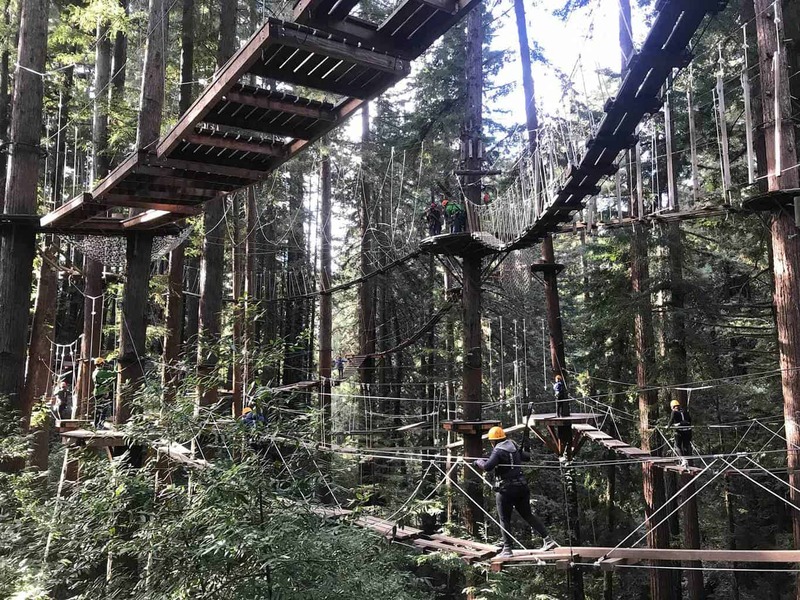 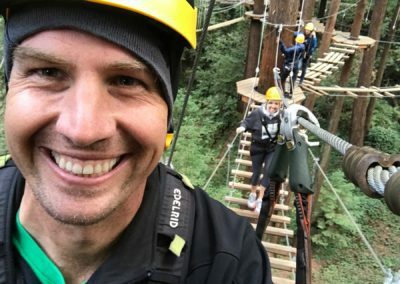 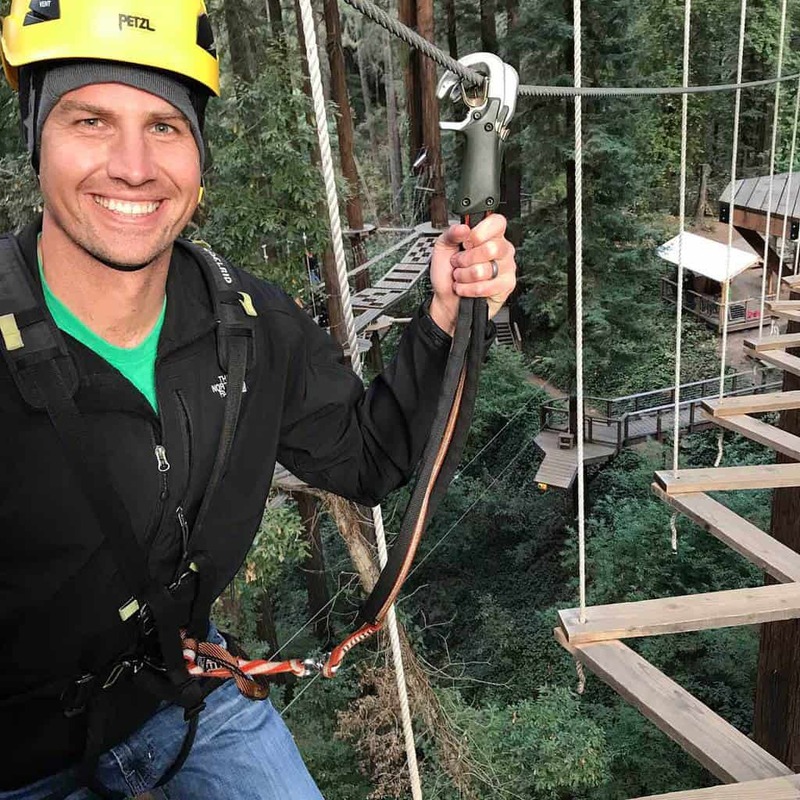 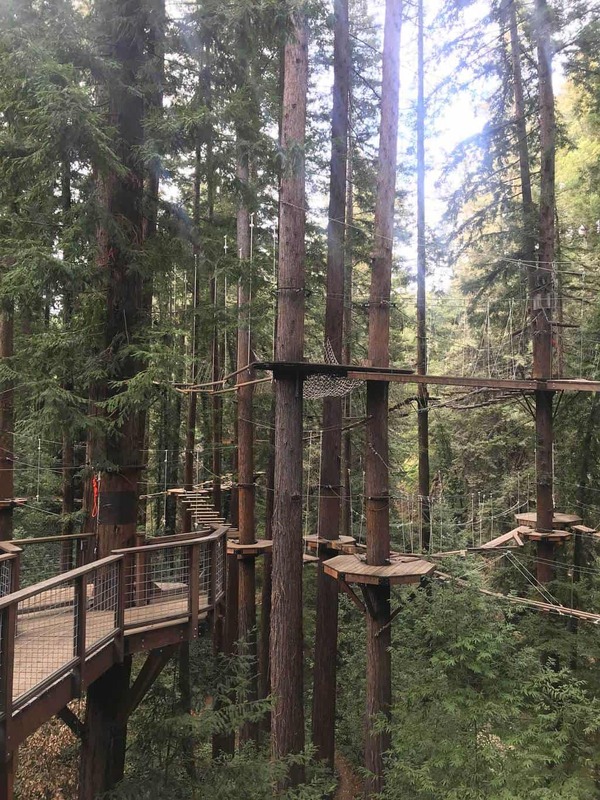 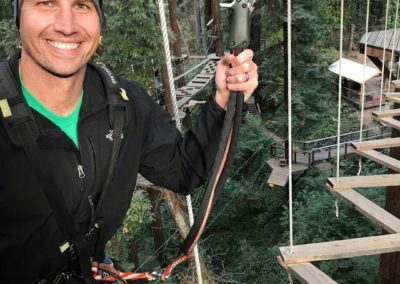 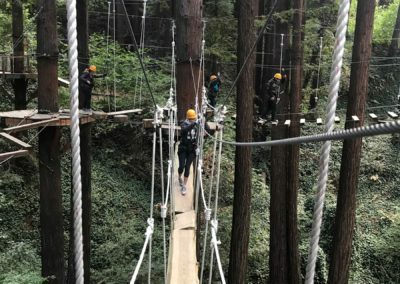 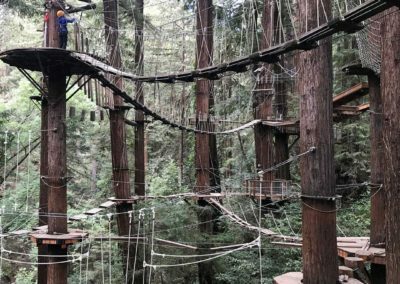 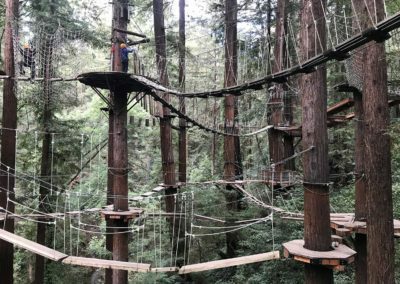 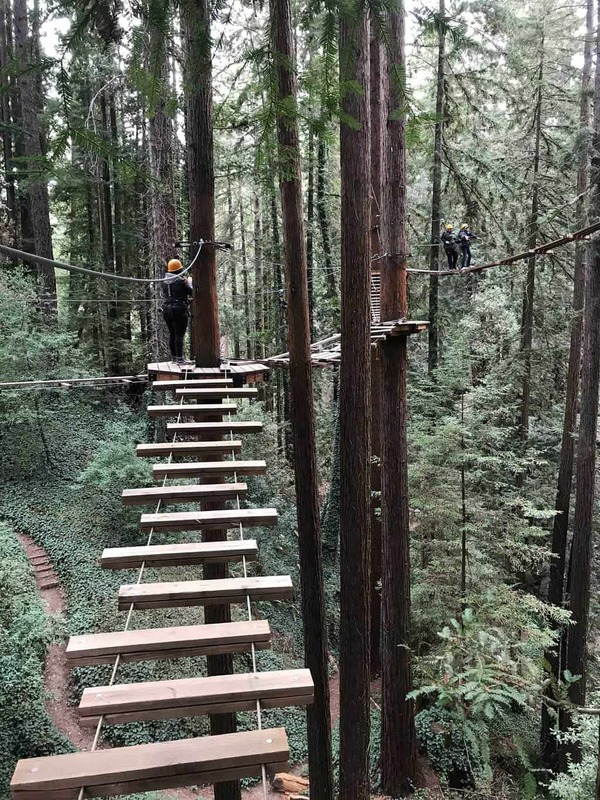 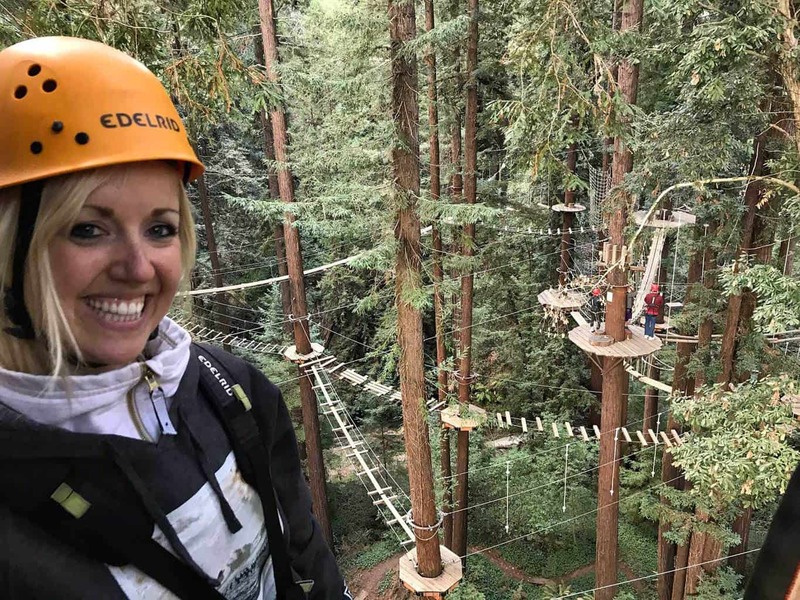 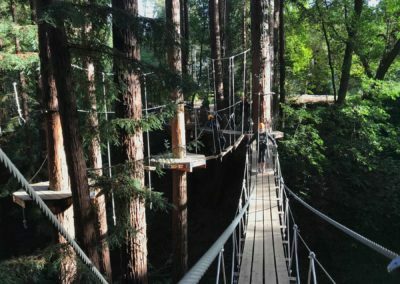 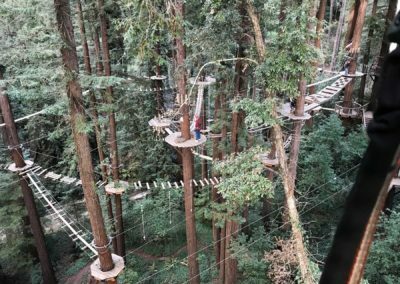 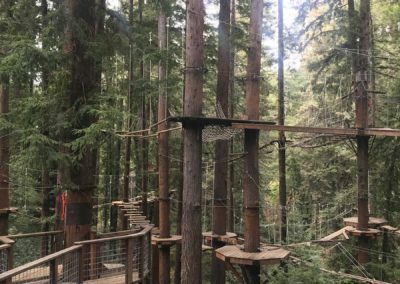 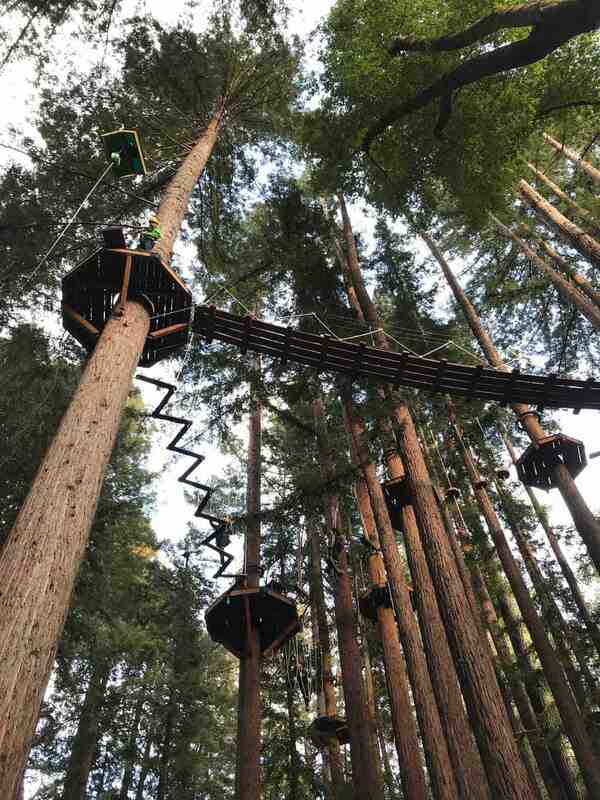 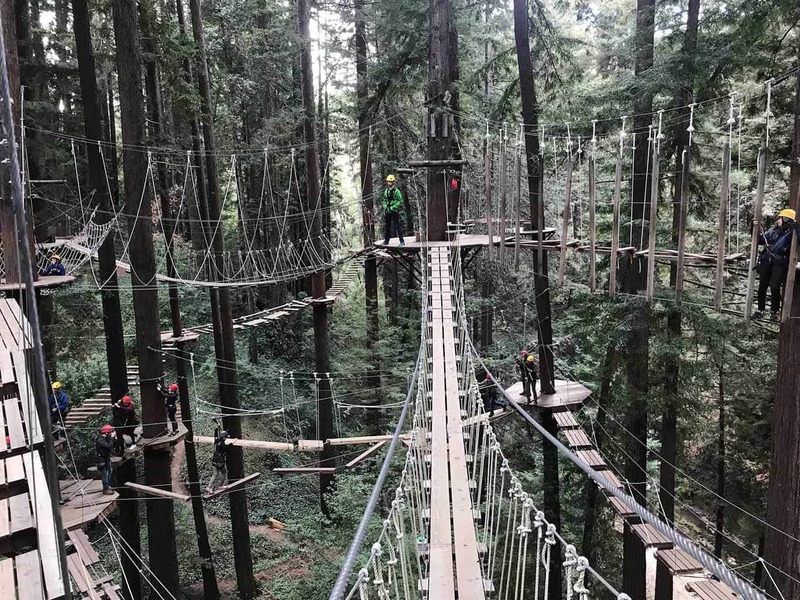 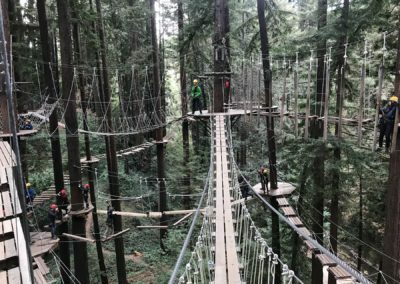 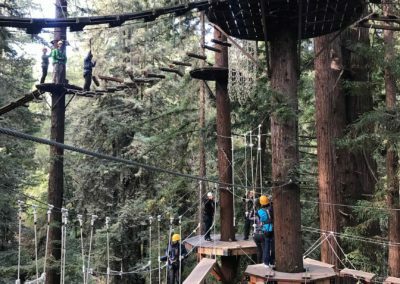 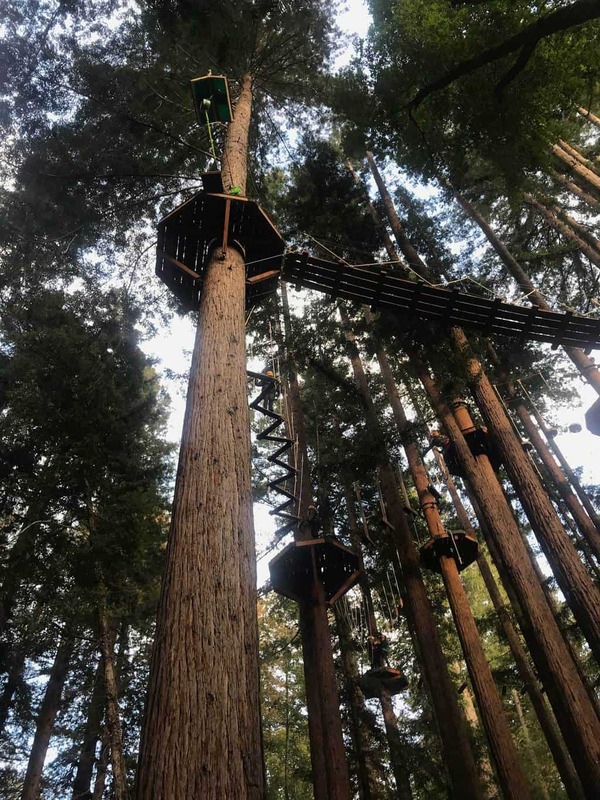 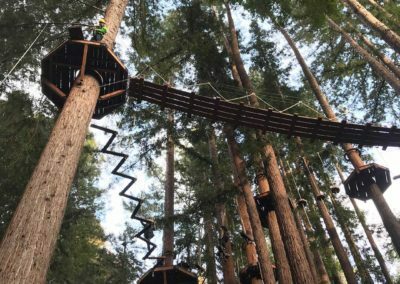 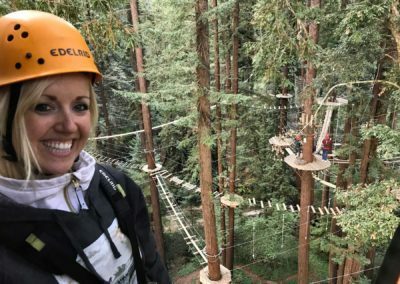 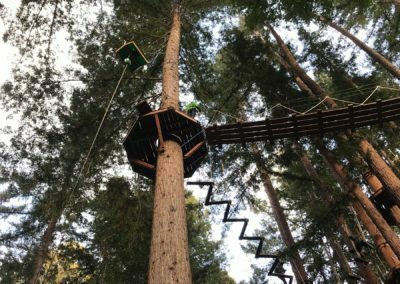 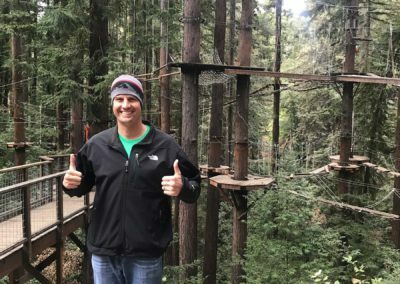 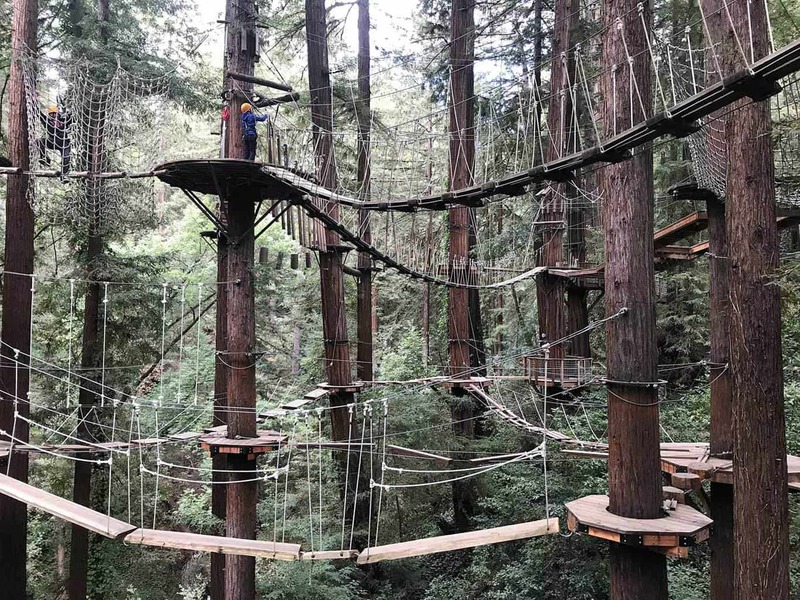 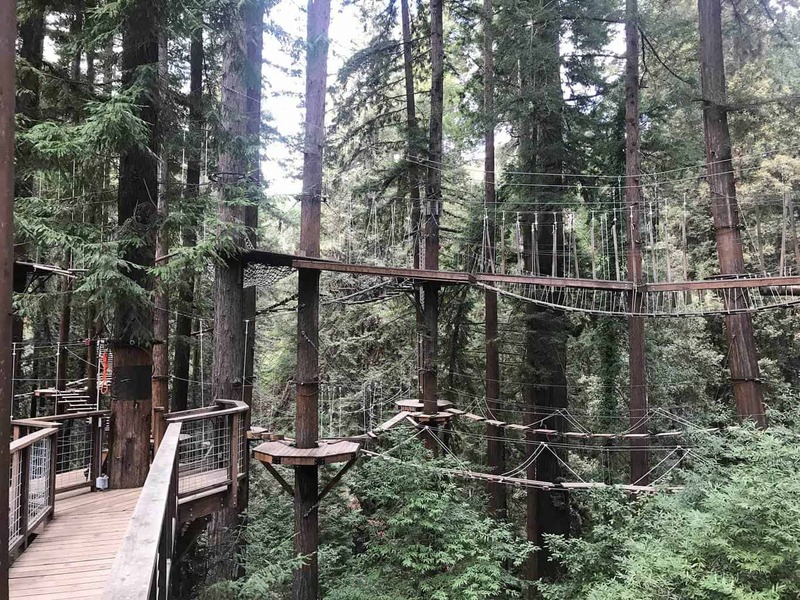 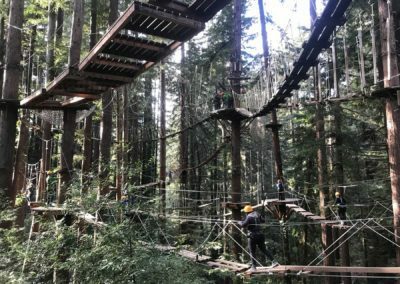 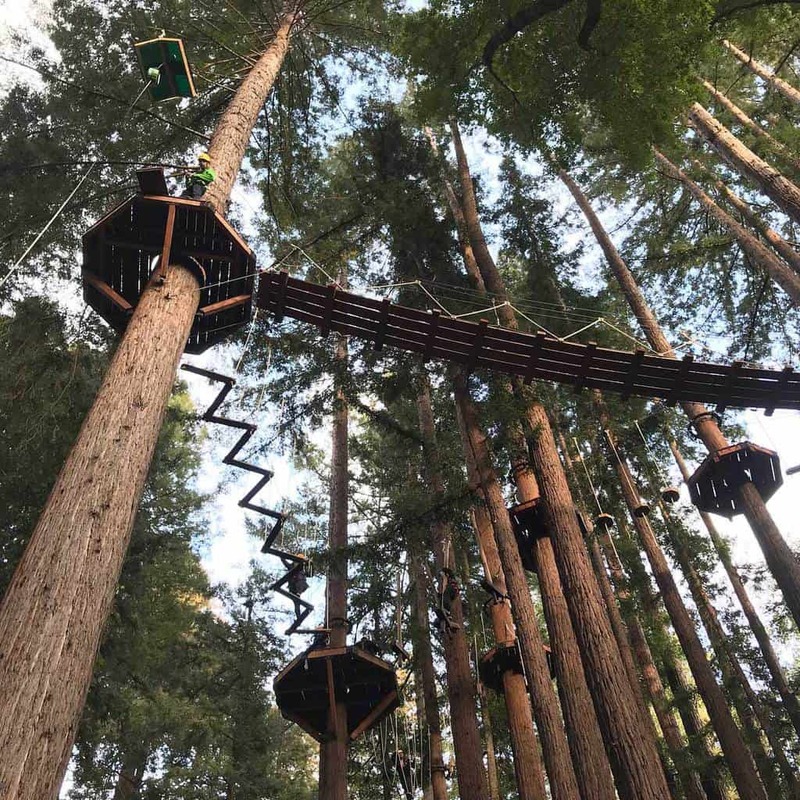 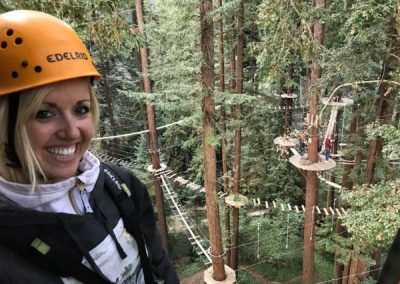 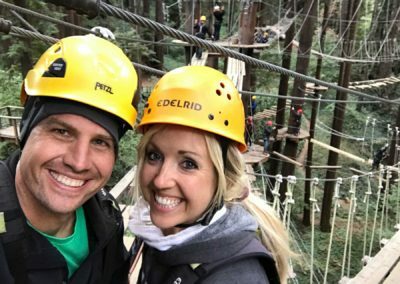 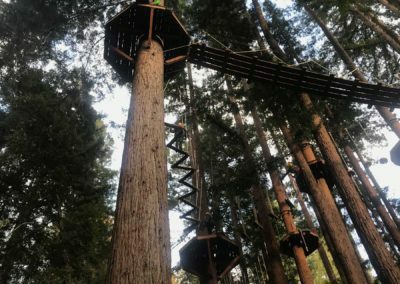 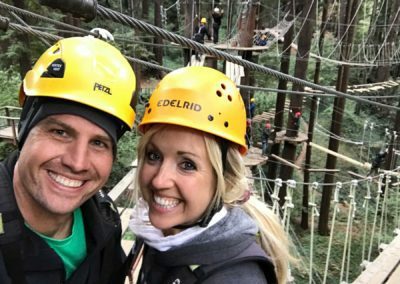 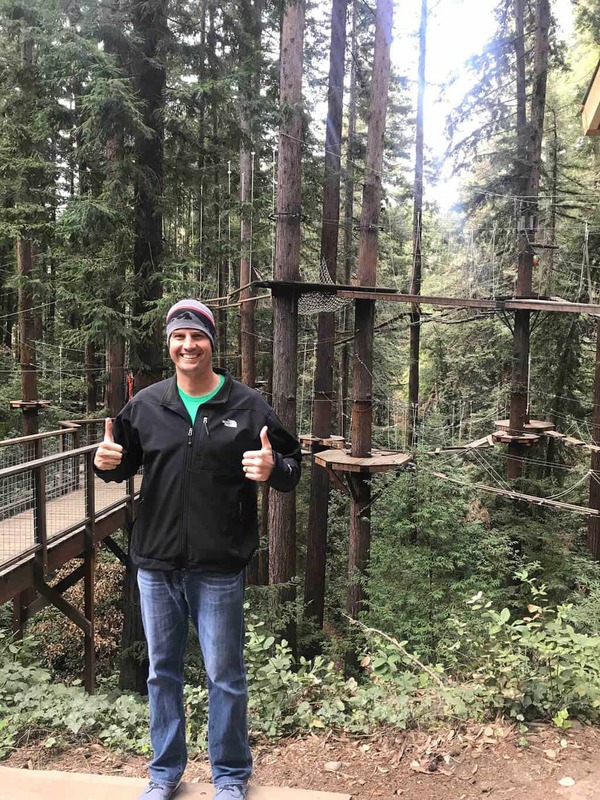 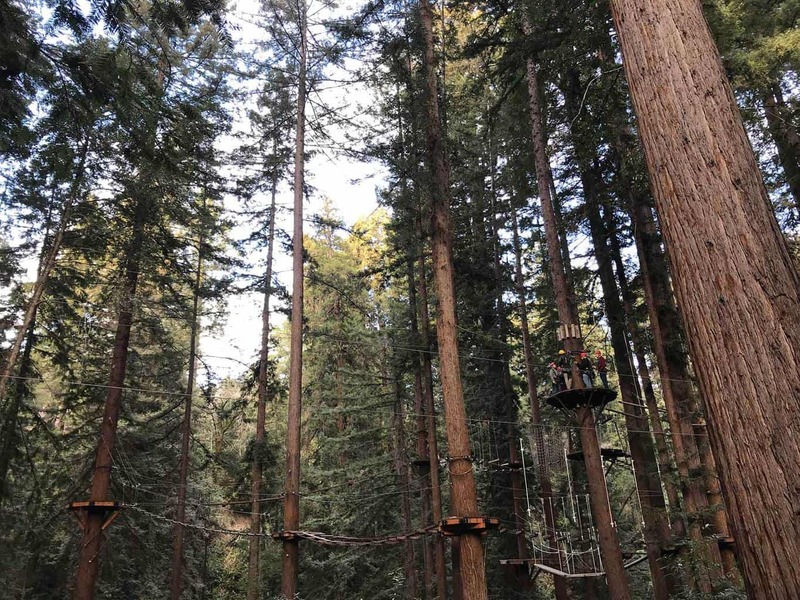 Established in 2008, Mount Hermon Redwood Canopy Tours provides hikers the opportunity to climb tree bridges, navigate over 30 obstacles and zip line, all while balancing 100+ feet in the air. Don’t worry, you’re navigated by two experts guides and safely secured into a rock climbing harness in case you loose your footing. 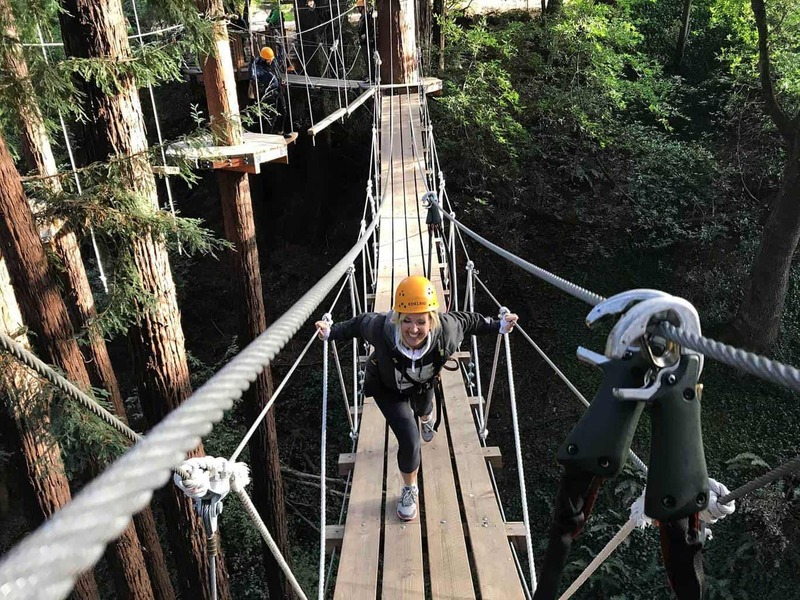 Mount Hermon is the ultimate destination for hikers and outdoor enthusiasts looking for a new challenge or wanting to grow through teamwork, balance and group interaction. 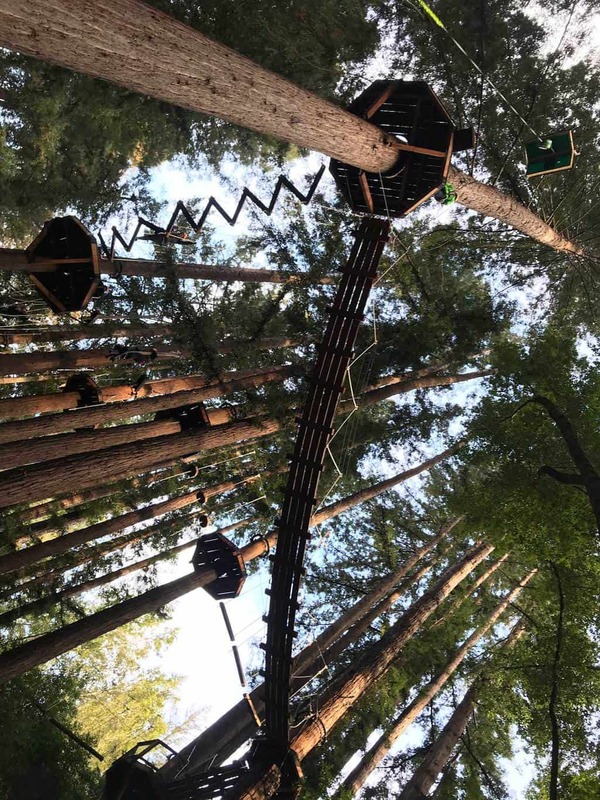 Scroll down to see pictures and more from this incredible outdoor adventure. 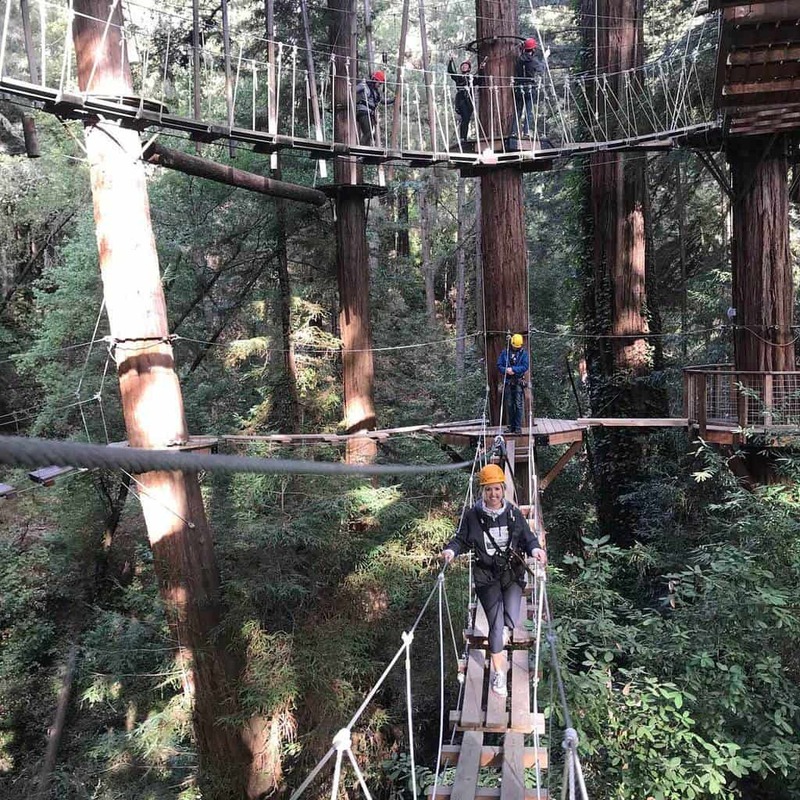 Mount Hermon was established in 1906. 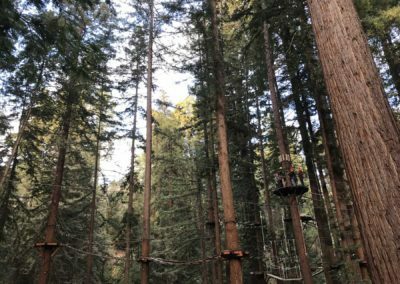 Redwoods can grow over 375 fee tall! 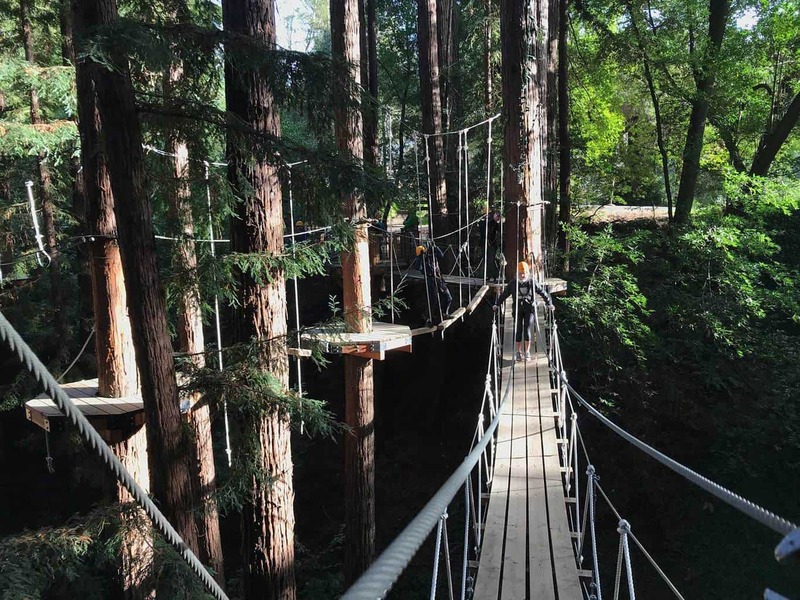 Year-round: Redwood Canopy Tours is open year-round – rain or shine. 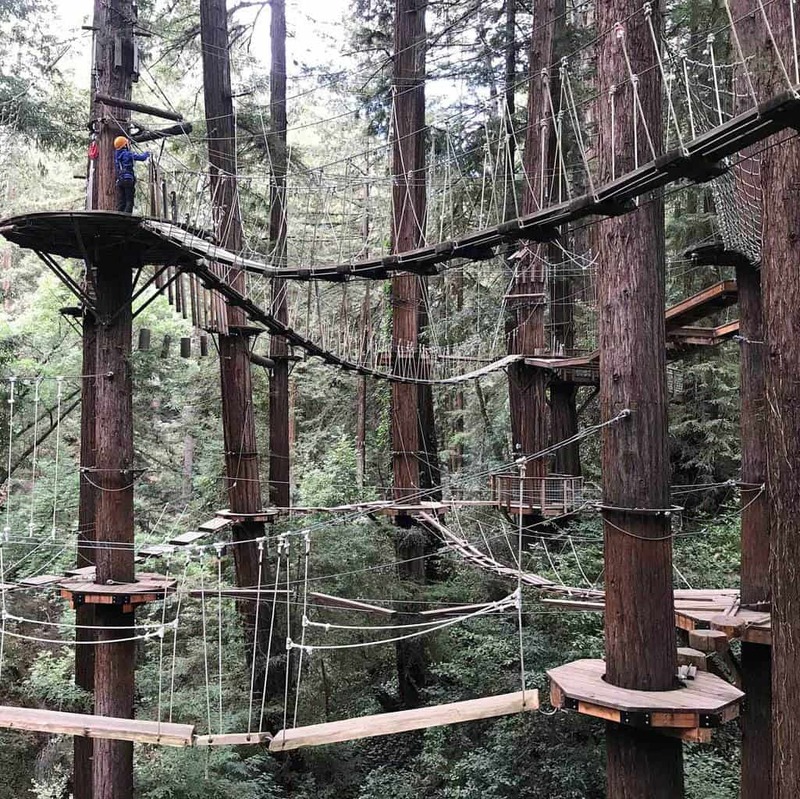 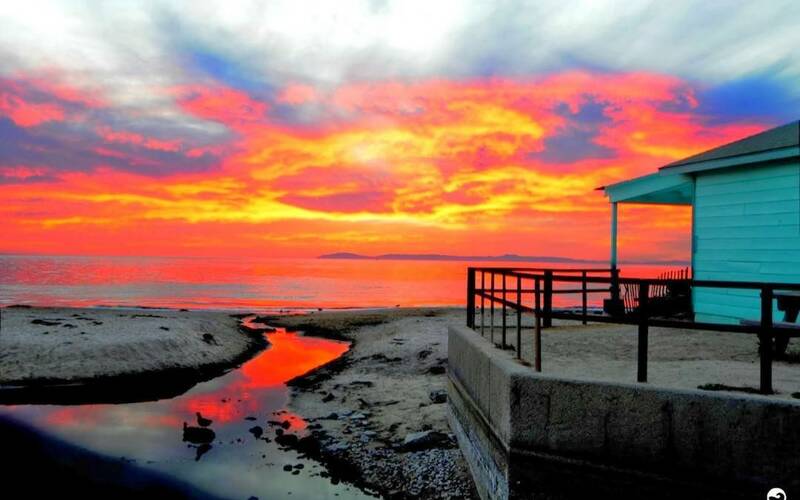 It’s highly recommended to make advance reservations, especially during the summer and weekends. 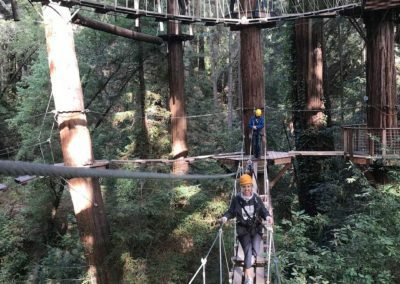 No, dogs are not permitted on the Redwood Canopy Tours. 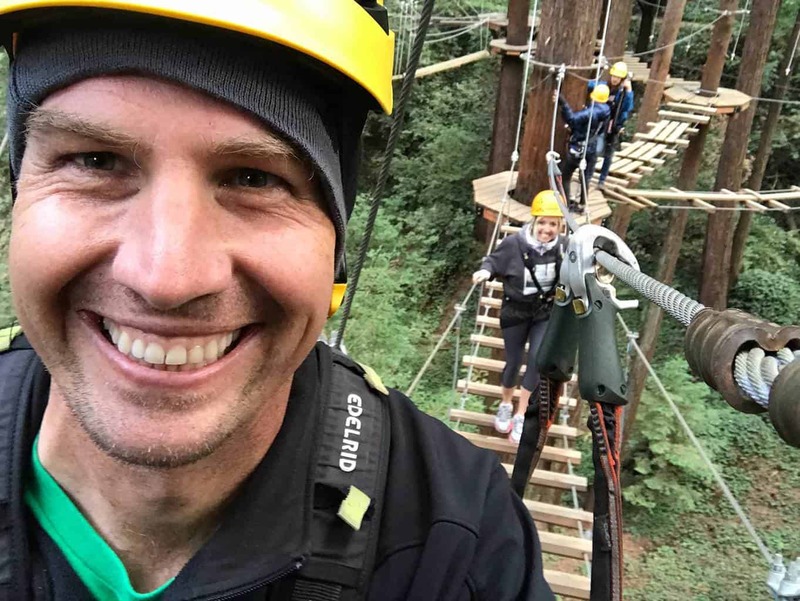 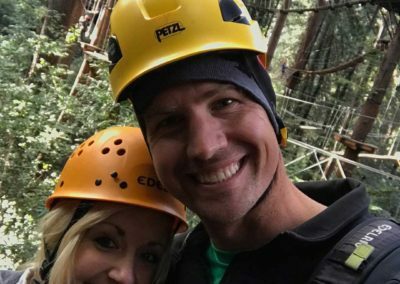 Mount Hermon Redwood Canopy Tours was an epic adventure that challenged our fear of heights and provided an environment for positive teamwork, encouragement and collaboration. 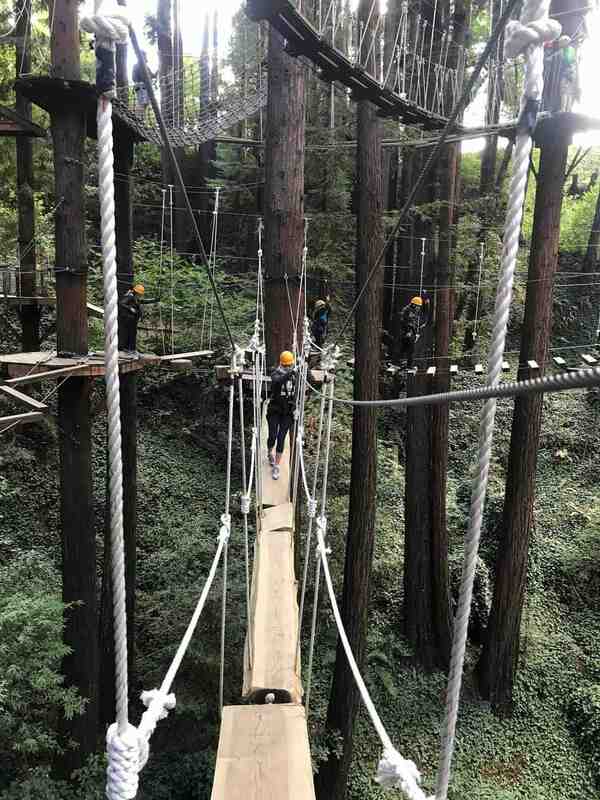 We loved exploring the various obstacles and having the opportunity to select particular routes at each course section. 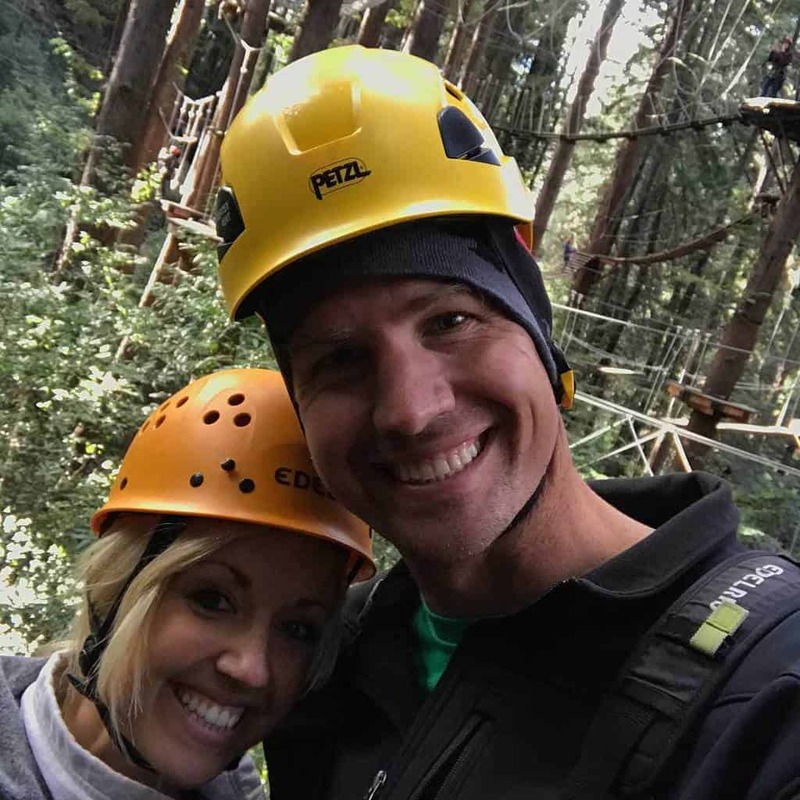 The staff was extremely supportive and made sure our group was safe throughout the tour. 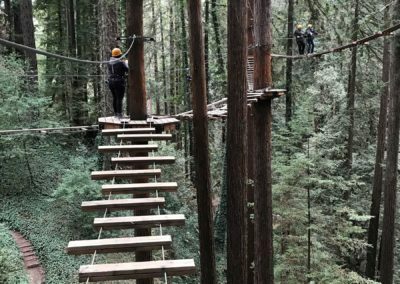 If you’re looking to grow through new experiences and conquer any fears, this challenge is for you! 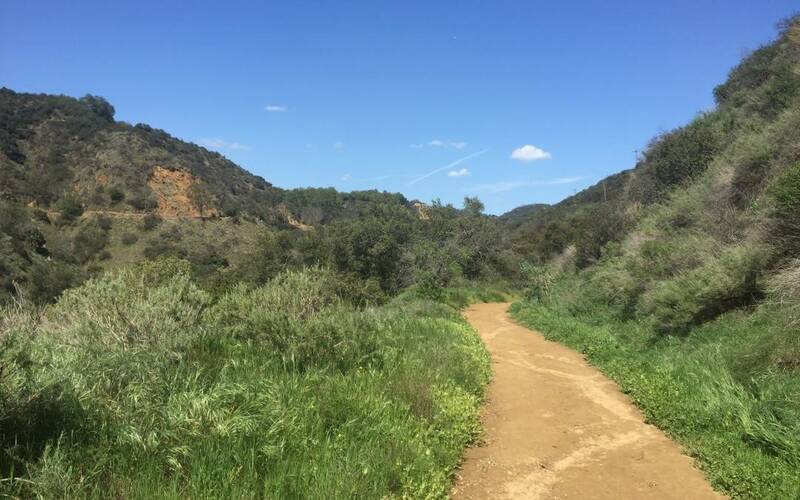 Visit San Diego’s Los Penasquitos Preserve & Canyon to see one of the nation’s largest urban parks. 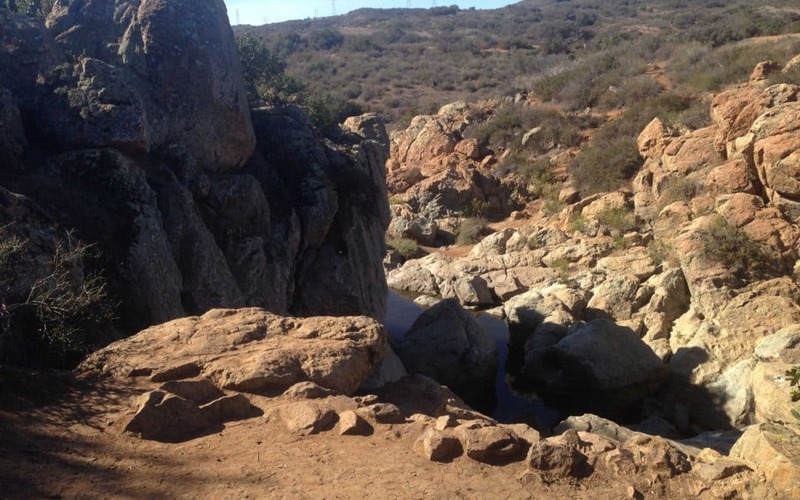 Explore rivers, large boulders, hiking trails & more.